Canterbury’s Burwood Hospital is a brand new facility which incorporates state-of-the-art medical technology to deliver the best outcomes for all patients who visit the centre. But, while perhaps less glamourous, just as important to the successful operation of Burwood Hospital is its plumbing and reticulation systems – and these are just as cutting-edge as the gear which powers the theatres. Incorporating aquatherm piping systems for potable domestic hot and cold, and chilled, water systems, the building’s plumbing is designed to deliver high performance and low maintenance for the full life of the hospital. Burwood Hospital has long been recognised as one of New Zealand’s centres of excellence for rehabilitation and elective orthopaedic surgery. As of June 2016, it became much more as site clearance began for the creation of state-of-the-art facilities linked to the ‘old’ Burwood Hospital. Innovative thinking and design has shaped these new facilities to deliver better, more efficient healthcare now and in years to come. These new buildings house over 32 thousand square metres of purpose-built facilities on three floors and provide a total of 230 new inpatient beds. Included are new ward blocks for medical, rehabilitation and mental health services for older people. There are also new outpatient areas, including radiology and pharmacy areas. Each 24 bed ward has three communal patient lounge areas plus a whanau room where patients can spend time with family members; the entire new build has beautifully landscaped courtyards throughout, designed to let in as much natural light as possible and help keep people connected to the outdoors. So significant is the Burwood Hospital project that Dirk Rosenberg, CEO of aquatherm GmbH, personally visited the site as a further demonstration of the company’s commitment to quality implementations. PP-R is polypropylene-random, a chemically inert thermoplastic. Its advantages over the metal pipes used since antiquity are all directly linked to its base form: unlike metals, PP-R does not react with minerals or contaminants in the water. It doesn’t break down (although it is fully recyclable) and delivers an extraordinarily long life. Because it is by nature flexible, it delivers a further advantage which has never been more relevant in Canterbury: it is earthquake resistant. What’s more the mineral-rich water in Canterbury lends itself more to the use of plastics rather than metallic pipe. 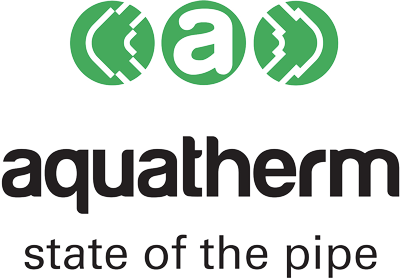 Where metal pipes will scale and potentially clog over time, there is no such issue with aquatherm’s products; where metal conducts heat, PP-R is a natural insulator, preserving the heat (or chill) of the liquid it transports and reducing the necessity for external cladding. Importantly, he notes that the risk of leaks is reduced if the task is completed correctly. Eagleton says the growing number of qualified installers and successful projects completed with aquatherm piping systems attest to the suitability of this world-proven product for the local market. 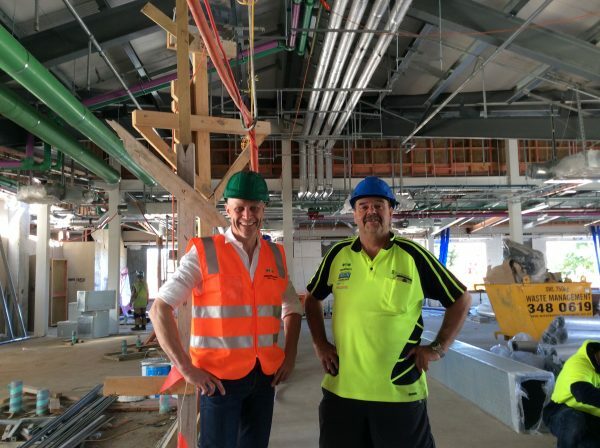 Pictured above: Dirk Rosenberg, CEO aquatherm GmbH, and Warwick Muirhead, David Browne Contractors Burwood team leader, conducting a site inspection prior to completion.